A running theme of Set at Random is coincidences. Some of these, Set sees. One escapes his eye for obvious reason. 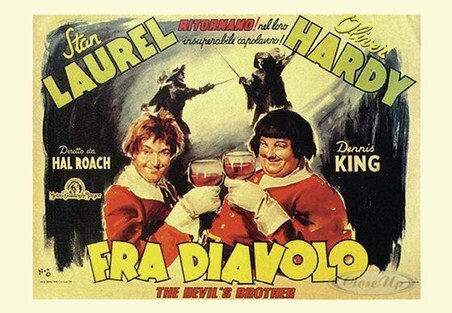 It concerns Laurel and Hardy who starred in The Devil’s Brother in 1933. Set saw the film earlier in the year in New York and now finds that it is showing in Paris. Earlier in his life, Set comes across arias from the opera The Bohemian Girl by Michael William Balfe. Laurel and Hardy would turn their own comic version of the opera into a film of the same name in 1936, three years later so Set could not have been aware of the connection. In 1933, this was a coincidence waiting to happen.